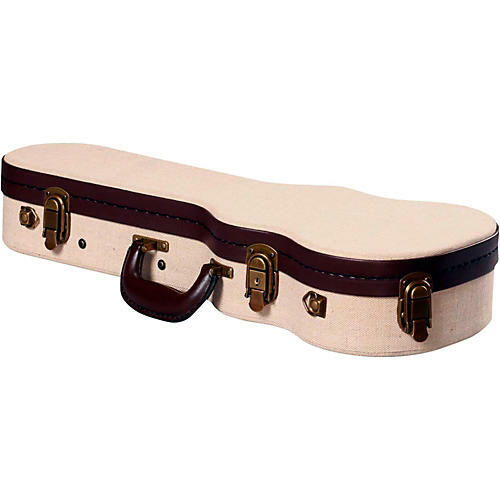 The GW-JM UKE-SOP Journeyman Soprano Ukulele Deluxe Wood Case features traditional wood case craftsmanship with a pebble weave burlap exterior giving it a non-traditional look. Inside, your uke's finish will be protected by a royal blue crushed velvet. It also has an accessory compartment where the neck support is. Unlike most hardshell cases, the GW-JM UKE-SOP also has a removable shoulder strap for a more comfortable option when on the move.